Video clip synopsis – The Doonan family relax together at home in front of the television - their 'permanent visitor'. Liz Jacka describes the role of the the Vincent Committee in establishing local drama production for Austalian television. Megan Spencer remembers some of the shows she and her family watched together. Broadband MP4 tvfamily_bb.mp4 (22.3MB), suitable for iPods and computer downloads. Sydney is an excerpt from the series Life in Australia Series: Sydney produced in 1966 by the Department of Immigration. The interviews with Liz Jacka and Megan Spencer were recorded for the website From Wireless to Web, produced in 2005. Liz Jacka is an Author and Professor in Communications Studies for the Faculty of Humanities & Social Sciences at the University of Technology Sydney. Megan Spencer is a film critic, reporter and filmmaker. During the 1960s many Australians dissented from the conservative social agenda that had dominated the politics of the Menzies government for many years. People took to the streets to protest – about the war in Vietnam, the role of women and the treatment of Indigenous Australians, who were still not classed as Australian citizens. The issue of content – of what gets broadcast – has been one of the most ardently debated issues in the history of broadcast media in Australia. From the early days of radio in the 1930s through to the 1950s and the advent of television and beyond, concerns have been raised about what people listen to on radio and watch on television. Central to this debate has been the matter of imported versus local content – programs purchased from overseas versus programs that are produced in Australia. This issue has given governments a rationale to regulate the broadcast industry and impose requirements for Australian-made content. In 1963 the Senate Select Committee on the Encouragement of Australian Productions for Television, chaired by Senator Victor Vincent (the Vincent Committee) presented a report to Federal Parliament. The Committee identified that 97 per cent of television drama content was imported from the United States, and the report criticised the Australian Broadcasting Control Board (ABCB) for failing to use its powers to enforce local content standards for television broadcasters, particularly the commercial stations. The Committee recommended a sweeping program of reforms, however none were implemented by the Menzies Government at that time. In 1970 the ABCB introduced regulations that 45 per cent of evening programs – those telecast between 6pm and 10pm – had to be Australian-made. Three years later in 1973, the ABCB changed Australian content requirements from a quantitative to a qualitative 'points system’ to encourage the televising of Australian variety, news, current affairs and drama programs. In 1976-77 the ABCB was superseded by the Australian Broadcasting Tribunal (ABT). Since that time, requirements for Australian content have increased for both radio and free-to-air television, although some still believe that the bar for Australian content has been set too low. In addition, Australia’s broadcast regulators have limited powers to regulate pay-TV or internet content in Australia. Select an Australian-produced program – it could be a drama, comedy or documentary – and construct a Powerpoint presentation that clearly accounts for the program’s value in terms of enriching Australian culture. What does Liz Jacka say about the advent of television? “The broadcasting landscape is changing dramatically”. Liz Jacka suggests that because of concern with Australian content, more programs are being produced locally and that this is good for both the industry and the audience. Do you agree? Give reasons for your answer. Explain the impact of the Vincent report on the history of Australian television. Television has been cited as being an agent of change because it brings the world into the living room. Listen to the account given by Liz Jacka in the interview. How do you think television is able to bring about social and personal change? Megan Spencer identifies television as an immensely influential tool that shapes the desires and aspirations of the audience, suggesting that it is the ‘zeitgeist’ of a society. What does ‘zeitgeist’ mean and how does this relate to Australian television? Television has become an integral part of daily life for many Australians. 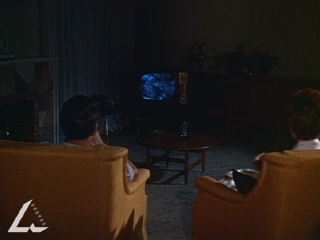 Television is described as a ‘permanent visitor’. What is meant by the term ‘permanent visitor’? The cop show quickly established itself as a popular Australian drama. Why do you think this was so? Provide an explanation that identifies how the police show genre met the needs and tastes of audiences. How do you think a television drama scriptwriter is able to provide a reflection of culture and society in their work?